Katz (In the Shadow of the Poorhouse, not reviewed) offers a bleak vision of the state of America’s economic health by examining the erosion of welfare benefits in the Information Age. Through a detailed depiction of the evolution of public and private approaches to relief systems (from colonial days to the present), the text offers an explanation for a profound shift in the American consciousness. 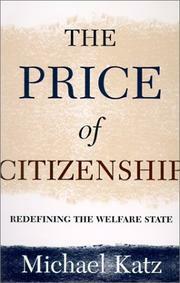 Well-researched and thorough, Katz’s account provides a scathing rebuttal of many conventionally held beliefs regarding welfare in the US today. Attacking the problem from every conceivable angle, he discusses ways in which the changing face of urban economics has affected the poor and how these changes reinforce poverty and desperation. He also examines the ways in which the arbitrary separation of welfare benefits into “entitlements” for the poorest of the poor (AFDC, etc.) and “insurance” for the middle class (unemployment compensation, social security, workers compensation, etc.) has undermined popular support for aid for those who need it most. The author goes on to discuss how even recipients of those benefits targeted most obviously to placate the middle class are being stigmatized in the current climate of welfare reform. From probing changes in health care delivery and its impact on the well-being of the nation’s poor to exposing the development of the term “undeserving poor” and the genesis of its current definition, Katz reveals himself to be that rarest of creatures: an academic with a public conscience and agenda. An extensively documented and compelling call for reform, and a direct challenge to the conventional free-market wisdom.